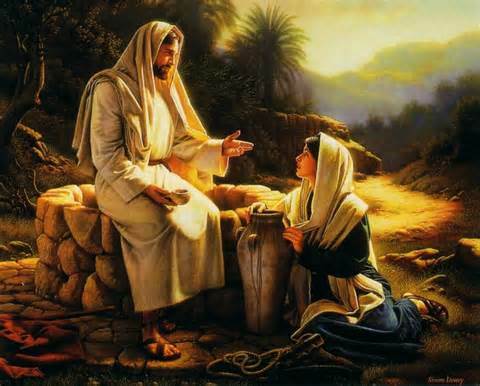 This Sunday on the hill in Coupland at St. Peter’s UCC…..we’ll take a visual, scriptural and contemporary look at Jesus’ visit with the Samaritan woman at the well and his offering of “living water” for her life and our lives. In the 4th Gospel, this is a profound shaping of the way Jesus and his followers shouild be experienced. Indeed, he is barrier breaking and bridge building, so apt for our own troubled and troublesome times…..from local to global and back again! All are invited to come join the song, prayer, discernment and welcome! 10:15 a.m……. No matter who you are or where you’ve been on your life journey, you are welcome at St. Peter’s! Remember, God is still speaking, . . . !!! This entry was posted in St. Peter's Church and tagged Pastor Frank Dietz, Samaritan Woman at the Well, St. Peter's Church of Coupland Texas on March 22, 2014 by Stewart Dale Spencer.